The MMS11-MC Twin Ball-Loc VESA Monitor Mount supports broadcast quality monitors up to 55 lb/25kg, designed specifically for mobile cart/truck applications. 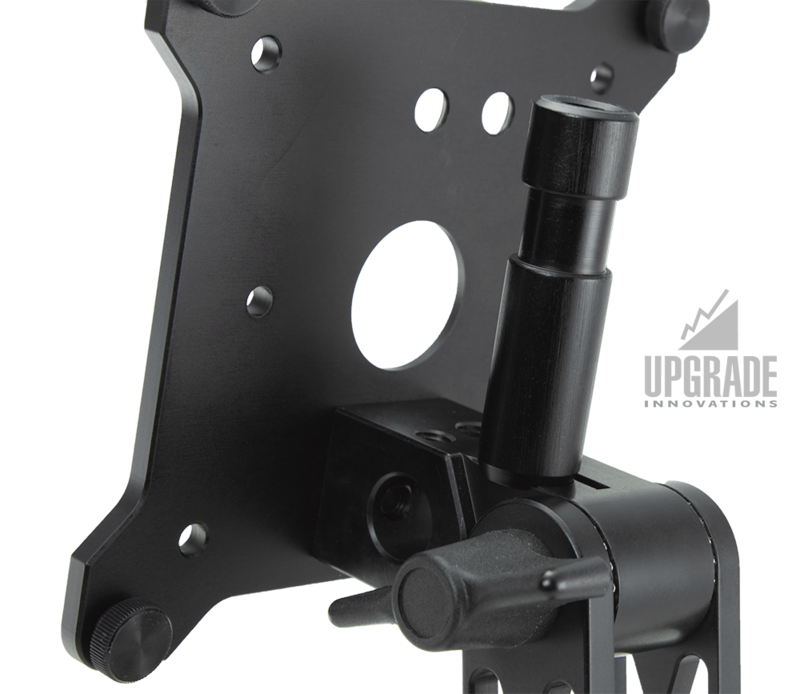 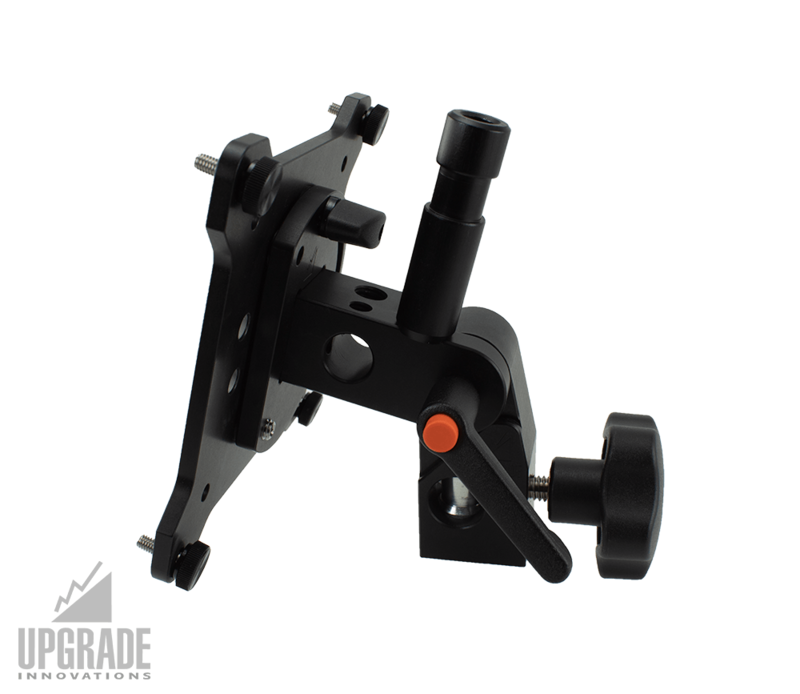 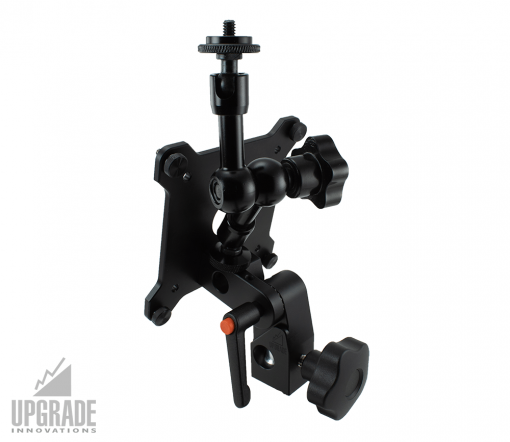 The two-point adjustment design, allows for unlimited viewing positions, making it a preferred mounting option. 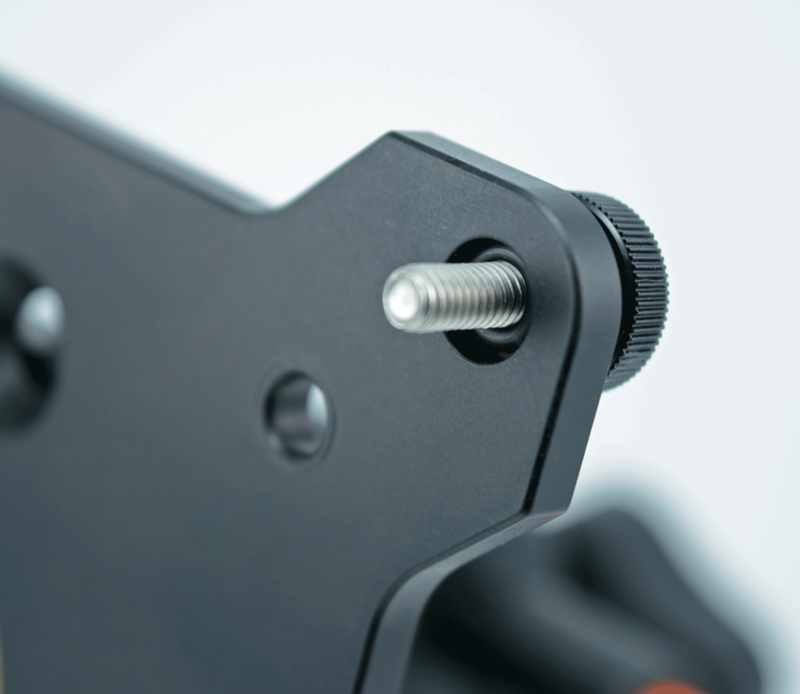 Chosen by professionals & rental houses to mount VESA standard monitors to 5/8” (16mm) male spigots or baby pins. 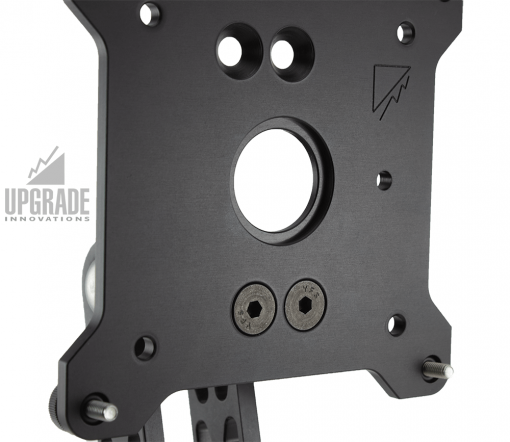 Customize mount to your needs by choosing between our four Monitor Plates to provide Landscape/Portrait and/or Quick Release functionality. 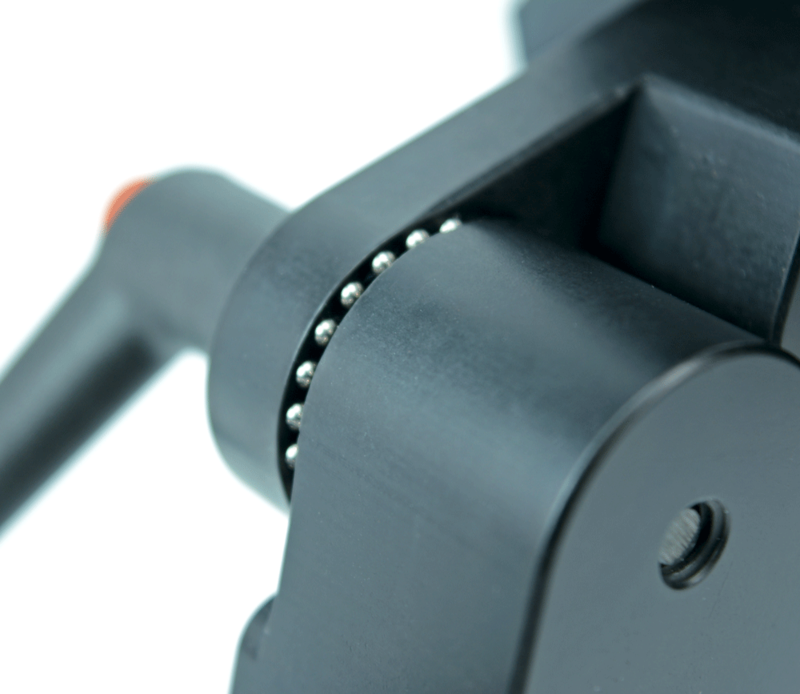 For those that prefer fine view-angle adjustment, consider our Friction-Loc models. Our superior quality twin-hinge monitor mounting systems are made from aircraft aluminum. 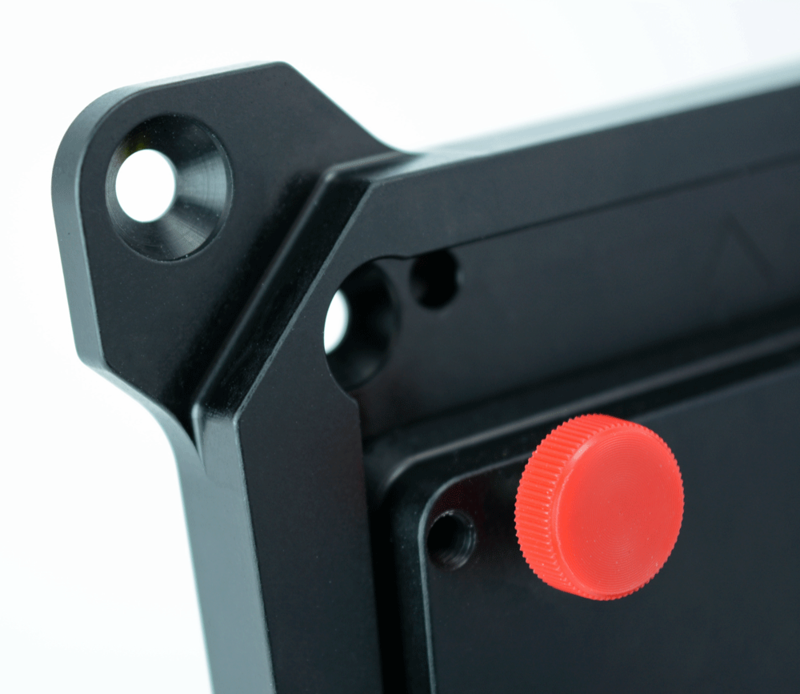 We use only high quality knobs and levers that will last for many years. 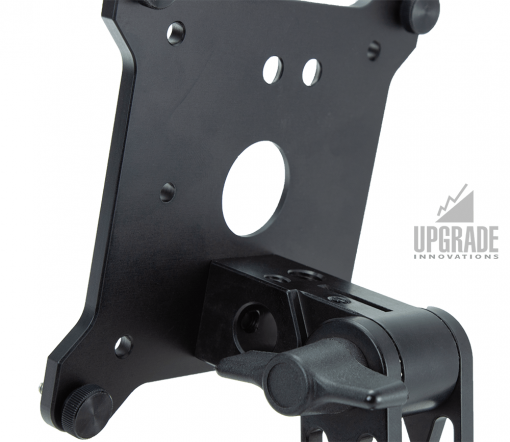 All mounts are load rated making them a top choice for professionals and rental houses. 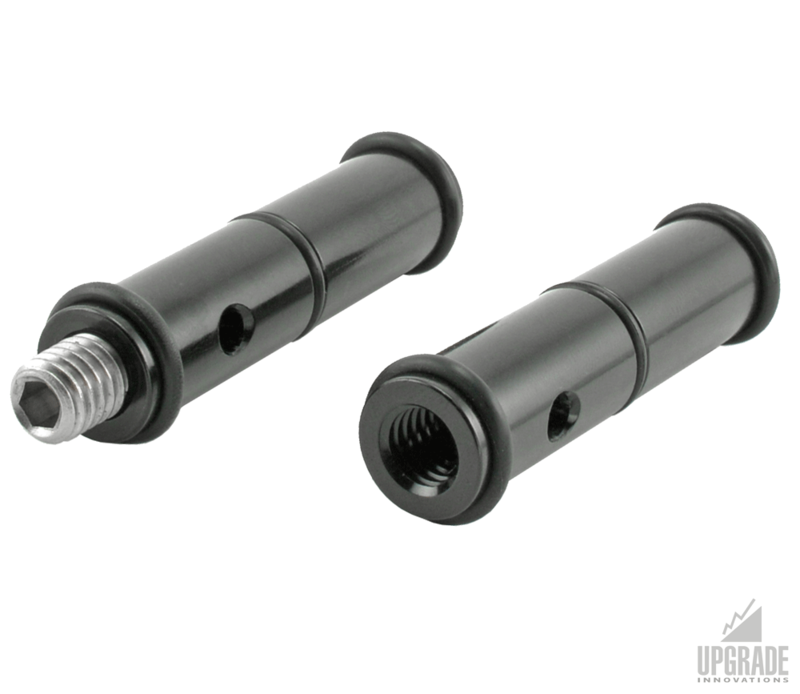 They are designed to attach to 5/8″ or 16mm male spigots that are common on most c-stands. 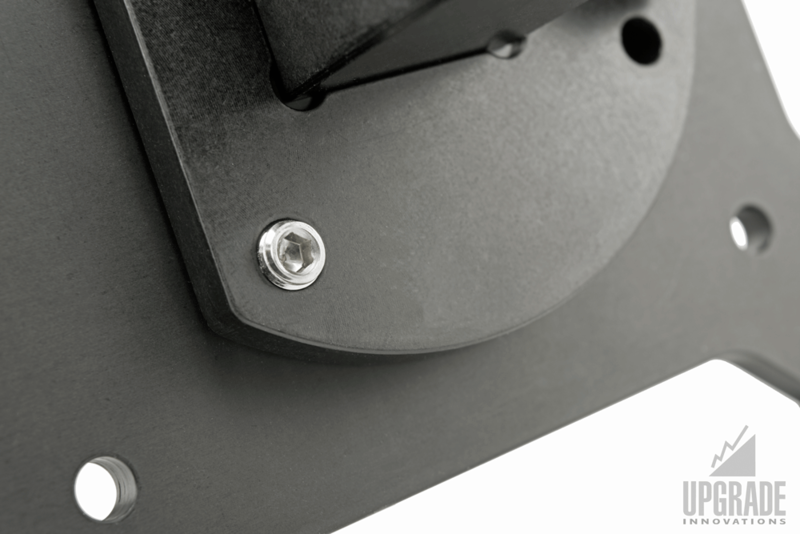 Our multiple hinge locking systems and mounting options allow you to “build your own” mount, that best fits your individual needs. 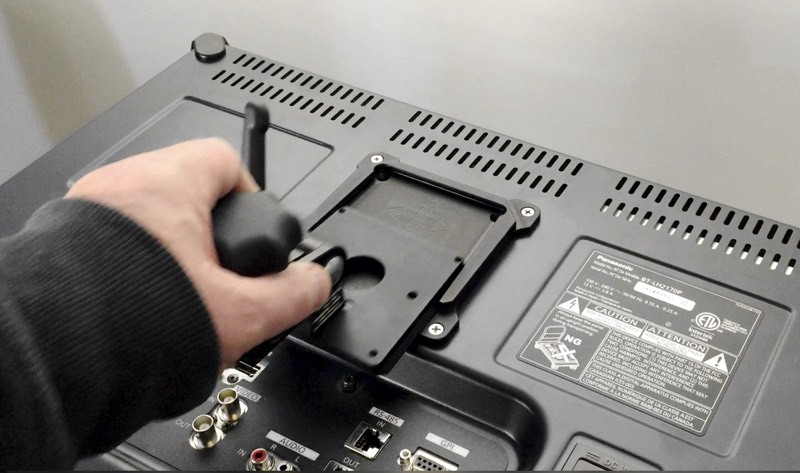 These models are all safety cable ready. 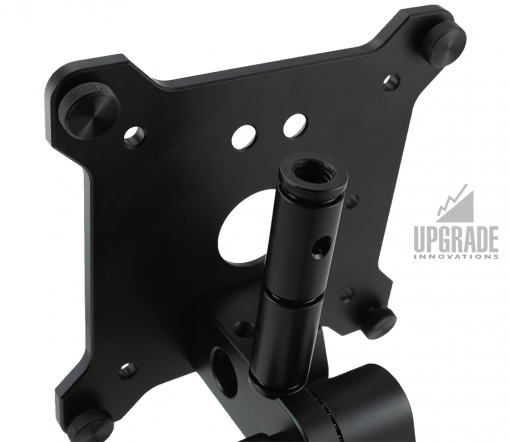 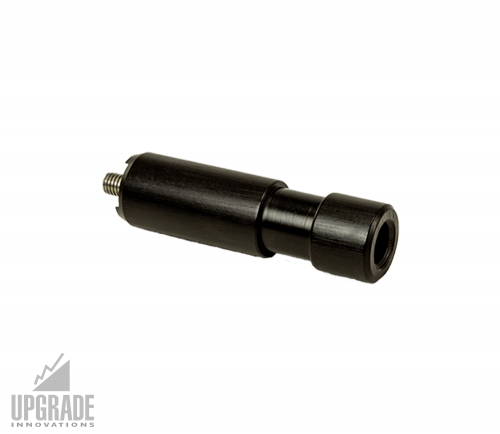 The machined hole at the VESA mounting plate adapter allows you to feed a safety cable through for safe overhead mounting. 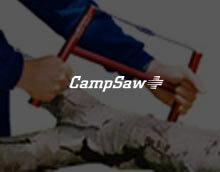 Use in any application where safety is a concern. 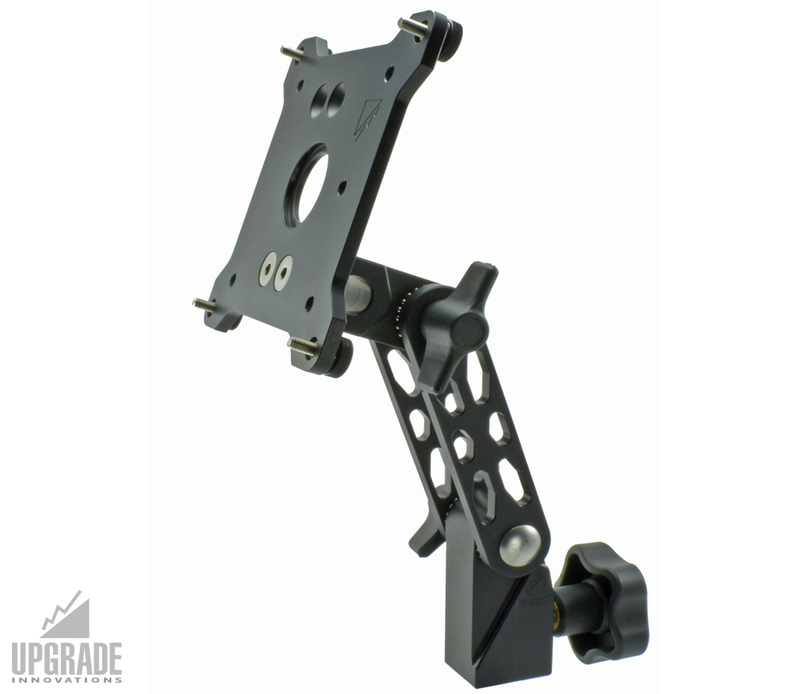 Solidly built with Anodized Aircraft Aluminum & Stainless Steel. 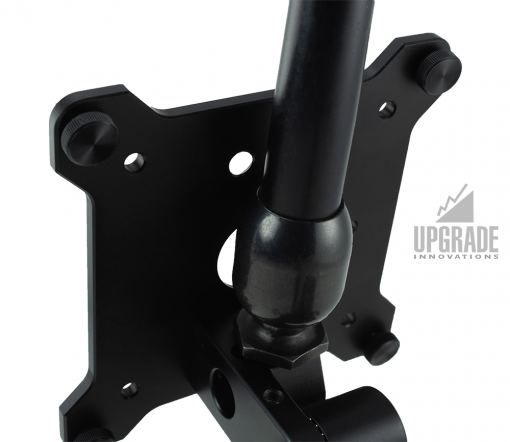 Supports up to 55 lb/25kg.